‘PowerPoint’ is a popular computer-controlled presentation program for the Microsoft Windows and Apple Macintosh operating systems. It is among the most prevalent forms of persuasion technology , with some 30 million presentations being made with it every day, according to Microsoft. Although now a Microsoft product, PowerPoint was originally developed by Bob Gaskins, a former Berkeley Ph.D. student who envisioned an easy-to-use presentation program that would manipulate a string of single pages, or “slides”. In 1984 , Gaskins joined a failing Silicon Valley software firm called Forethought and hired a software developer, Dennis Austin. Their prototype program was called “Presenter”. Due to trademarking issues, its name was changed to PowerPoint. PowerPoint 1.0 was released in 1987 and was originally only available for the Apple Macintosh , and only in black-and-white. It generated text-and-graphics pages that a photocopier could turn into overhead transparencies. Later in 1987 , Forethought and PowerPoint were purchased by Microsoft Corporation for a price of $14 million. In 1988 the first Windows and DOS version was produced. It has since been a standard part of Microsoft’s Office suite of tools. In PowerPoint and other presentation software in general, objects such as images and text being placed on each slide retain their position regardless of other objects already placed. This approach is intuitive for beginning users. This differs from desktop publishing software, where the flow of text or images on the page may be affected by the images or other objects placed on the page. PowerPoint ist Bestandteil von [[MicrosoftOffice]]. | 1988 || PowerPoint 1 || ? || ? 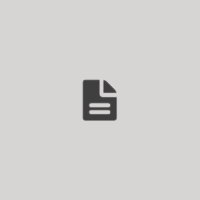 | || PowerPoint 2 || ? || ? | || PowerPoint 3 || ? || ?